Johan Vekselius, Weeping for the res publica : Tears in Roman political culture, Lund, 2018. 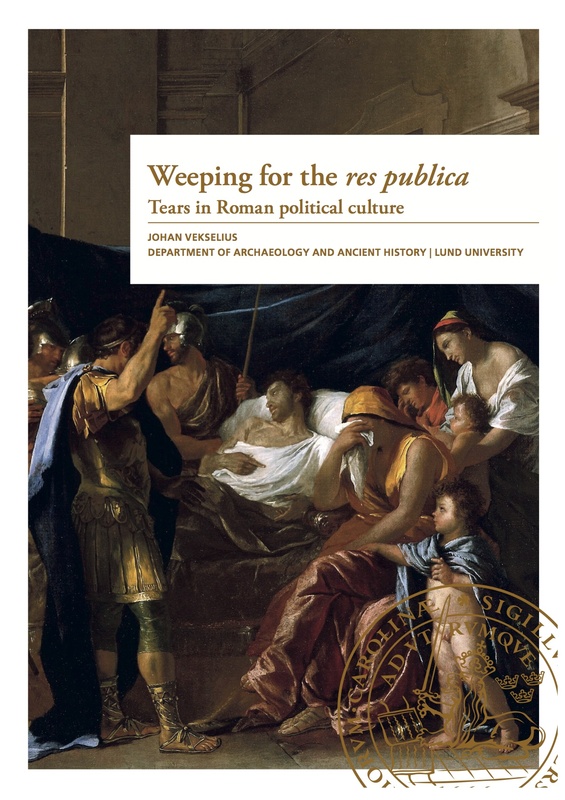 The thesis explores the meaning and function of tears in Roman political culture during the Republic and the Early Empire in various historical settings: mourning, the law court, and in different political contexts where power, authority, and subjection were expressed or exercised. This is carried through by reading representations of weeping in Greek and Latin literary works in different genres, written by different authors. The study demonstrates that while tears and weeping were a common occurrence in Roman politics, the appropriateness and meaning of tears varied by literary context and variables in the historical context (like status, gender, and communicative context). The study also discusses the question of change over and time and argues that the advent of the Emperor impacted weeping and that both an increased appreciation of tears as well as self-control were available as responses for the elite.